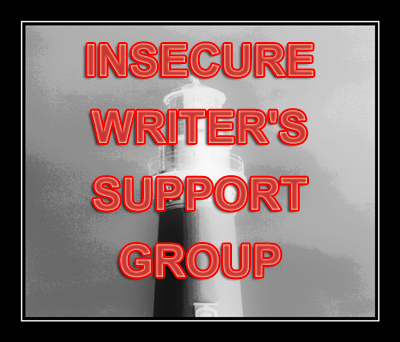 It’s the first Wednesday in March and time for my monthly contribution for Alex J. Cavanaugh’s Insecure Writers Support Group. It turns out; insecurity isn’t always a bad thing. In fact, I would even postulate that a certain measure of it is even necessary. What do we do when we feel insecure about something? We work harder to shore up that aspect of ourselves and build more confidence. How much would your writing improve if you lacked insecurity? A smart writer, composer, performer, artist, etc…etc, realizes that there’s ALWAYS room for improvement and the uncertainty of where we stand in relationship to our peers should actually drive us. Too much security…or over-confidence…breeds arrogance, egotism, and conceit. Hold on a sec, that doesn’t mean you can wipe that brow and declare, “Phew…I’m glad I don’t have to worry about being insecure all the time now!” Although it’s true that a certain amount of insecurity serves a useful purpose, overall it can still be disabling. Too much of it holds so many of us back, rendering us timid, hesitant. I guess what I’m trying to say is that the goal isn’t to eliminate insecurity, but rather to manage it and make it work for us. How do we do that? Keep putting yourself out there and build credibility. If your new to blogging, participate in blogfests or other opportunities like the A to Z Challenge. Become a bigger part of the conversation. At the end of the day, grab that insecurity by the horns and ride it til the horn blows! What a fantastic post! We need to be able to accurately evaluate ourselves and our writing, but can't be crippled by that insecurity when we're not "perfect." Easier said than done, but this is excellent advice! Thanks! I'm riding high, cowboy. Yee haw! Sage advice! The ending made me want to yell, "Yee haw." Great advice. With every submission I make, I always re-read first, and there's usually something to tweek. Always wondering if my work is good enough keeps me on my toes. I don't think I ever need to worry about losing all my insecurity, because I'm always going to be worrying about something. As proved by this sentence. The trick is managing it and channeling it constructively. A little insecurity, like a little perfectionism, can make us try harder - and produce better work! This is an awesome post! Perfect timing too. You're right. If you manage it well, it's all you need to challenge yourself to do better. I know someone who isn't insecure, and he wonders why his books don't really sell. It's because he thinks he already knows everything there is to know about writing. That's a dangerous attitude to have. A to Z and bull riding all in the same blog post.I gotta hand it to ya DL. Great reminder on all counts. Insecurity's like salt that way, then :) Great advice! I can be a little *too* insecure, but I think I'd rather be that way than *too* confident - but both extremes are counterproductive! Never strive for perfection. Perfect is boring. Warts are good. Managing insecurity is better than not having it at all. I have to agree: excellent post! I'll just add that practice helps me with the whole insecurity thing. Good point! It's important, as Sarah said, to have balance between confidence and self-evaluation. I agree! I just wrote in my post today that right now, it is the insecurity that is pushing me forward. Now...just to stay here. :-) Have a great day, DL! I'm insecure once a month. For the bloghop. And that's it I swear! I'm not insecure any more than that. Uh, you believe me, right?? You know, Nathan Bransford once did a post where he basically said that insecurities are a good thing because if you don't have them, you're probably deluding yourself. I always try to remember that others won't remember my sentence structure or whether I colorfully modified my nouns enough. They will remember how my writing makes them feel and whether it helped them in some way. A good way to check your own writing improvement is to go back a read something you wrote more than a year ago. It's a bittersweet experience! I will now try to make my insecurities work for me. Thanks, DL! I've got my lasso out, trying to capture my insecurity. Thanks. Like everything in life, there needs to be a balance. "Keep putting yourself out there." I like that. I completely agree. Certain insecurities make you want to strive for perfection. Balance is the key. Nice post. Indeed it is a balancing act! Plus, a little insecurity helps us from becoming overconfident. Great post....Your insecurities can push you to greatness. You're right, small doses of insecurity can be positive. Too much can be destructive. As always, great post, D.L. I never thought of it that way. Great post! What a great post. I totally agree - the only way forward is to keep on trying! Yep, you said it. Insecurity can be helpful at times, but we have to keep it in check. Part of that, I think, is learning to laugh at yourself and accept the fact no one is perfect. Wonderful post and so true. A little insecurity is good. Les Edgerton in his book HOOKED mentioned that writers should strive to be green bananas, so we still have room to grow. Once you are ripe, then you're rotten. I agree; we should embrace our insecurities. Whether in writing or in "real life," insecurity serves to make us work to better ourselves.